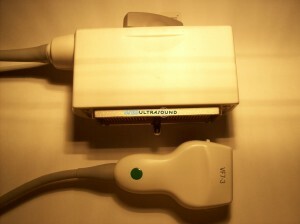 UsedUltrasound.com can deliver virtually any used ultrasound probe or transducer you need, including a selection of thyroid ultrasound probes for sale. Our inventory includes everything from the most common ultrasound machines to hard-to-find probes and transducers, even for older and out of date models. Our prices can save you more than half off the original retail cost, and we offer the security of a 100% satisfaction guarantee. Contact us right now for the lowest price on any used thyroid ultrasound equipment you need. It can sometimes be hard to locate a compatible probe or transducer for a thyroid ultrasound system, but UsedUltrasound.com has access to an extensive inventory of quality refurbished ultrasound equipment. 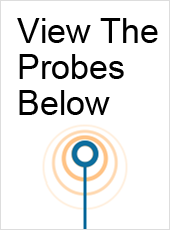 And if we do not have the thyroid ultrasound probe you need listed on our website, we have the resources to find it for you and sell it for the lowest price. We are also ready to save you money with one of our ultrasound service contracts, which can help you reduce operating expenses by proactively finding minor problems before they turn into bigger, and more expensive, problems. We have an experienced customer service staff of ultrasound experts ready to answer any questions you have, either by phone or email. So contact us today if you need thyroid ultrasound probe pricing information or any other information about used ultrasound equipment for sale. We know that there never seems to be enough time in the day, so we promise not to waste any of yours. We are happy to provide pricing details on any used thyroid ultrasound transducers for sale at UsedUltrasound.com, and there is never any obligation to get the lowest price. Even if you are just doing some pricing research and not ready to buy right away, we are here to help. Give us a call or fill out the simple contact form today so we can show you just how much money you can save on refurbished thyroid ultrasound equipment.